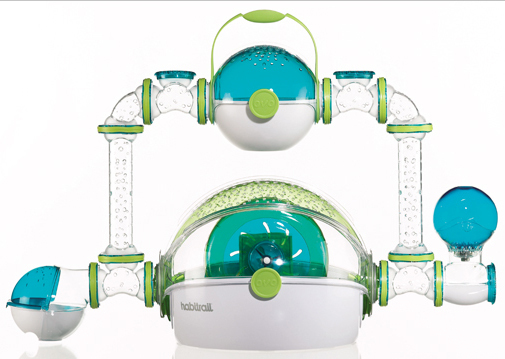 Create something cool and different with the Habitrail OVO Trainer. The Trainer has two functions: it can be used a stationary outside exercise wheel or it can be used as wheels for a mobile set-up. 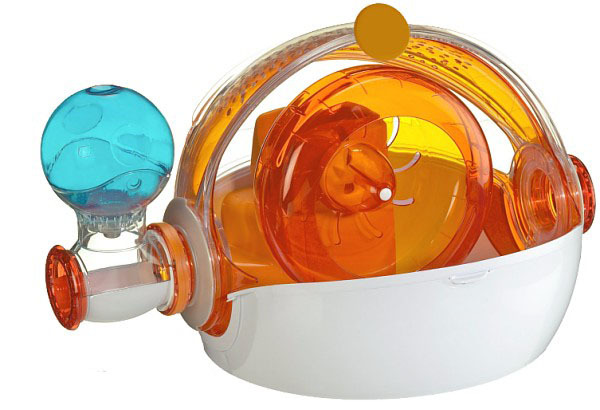 When using the Trainer as an outside wheel, you can watch your hamster enjoy his daily exercise while he spins around. The advantage of adding the Trainer to any set-up is that it attaches on the outside of the Habitat so you can actually see you hamster run. The other amazing thing about the Habitrail OVO Trainer is, you can design a set-up which uses the Trainer as movable wheels. 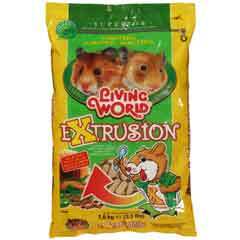 You can actually build a set-up that allows you to pull or push your hamster around the house. The Trainer has this unique rubber band which holds litter inside and gives traction to your mobile set-up.